Given the approaching end of the Kepler telescope’s reign as the best planet hunter in the galaxy, you might be wondering about the status of the search for habitable planets. After all, NASA’s Kepler telescope, which has recently been reported to have “life” threatening problems, has spotted over 3,216 “candidate planets” since 2009, and 132 confirmed planets. With or without Kepler, that number will keep growing. And now we can add three more to the list. 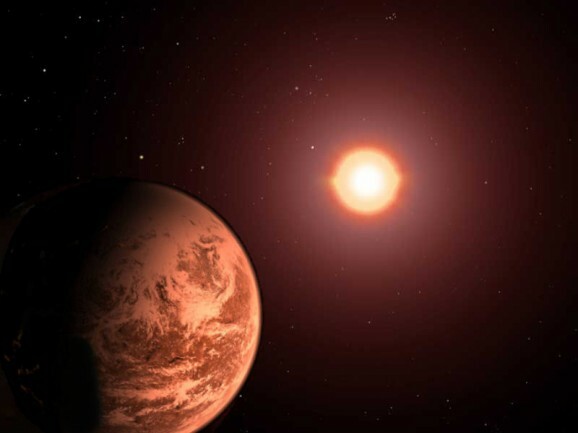 Astronomers at the University of Hertfordshire have been focusing on Gliese 667 and with the aid of new technology, particularly the HARPS-TERRA software and spectra from the Very Large Telescope (VLT) operated by the European Southern Observatory in northern Chile. They have been able to confirm Gregory’s findings. 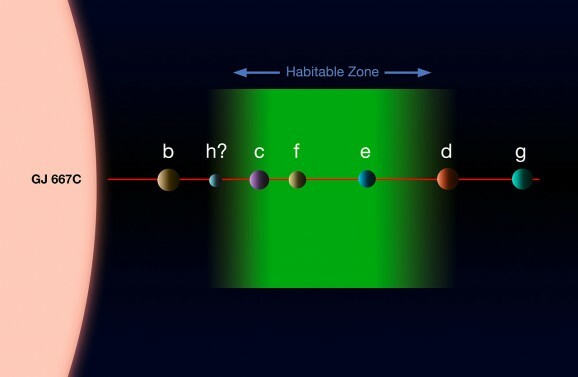 In fact, six of the signals they observed and analyzed were promoted to “fully flagged planet candidates.” They then assessed the stability of those six planets and concluded that three are, indeed, habitable. So, what are we waiting for? One (or more) of these might be the second home we’ve been looking for since the Cylons bombed the 12 colonies! Gliese 667C is a red dwarf star. Red dwarfs are common in the Milky Way; some scientists estimate that up to 75% of the stars in our galaxy are red dwarfs. The star closest to our sun, Proxima Centauri, is a red dwarf, but because they don’t give off much light, they’re unobservable to the naked eye. 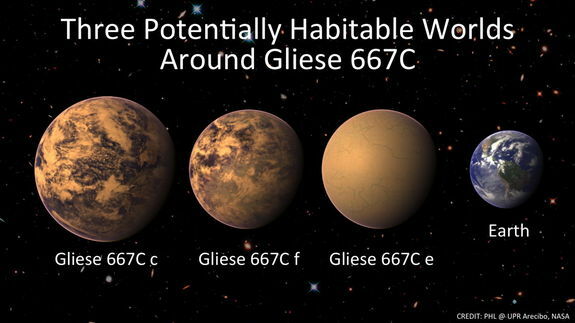 Gliese 667C is part of a trinary star system — the other two stars are “K dwarfs,” similar to our Sun. It’s roughly one third the mass of the Sun, and is a mere 22 light-years away! (All sarcasm aside, that’s relatively close). Astronomers have confirmed the existence of three “super-Earths,” all of which are habitable, meaning that they can support water and stable atmospheres of C02 and 02, and considerably bigger than Earth. It’s also possible that there are more habitable planets in that area — four additional planets have been spotted in the system, though as of right now scientists aren’t willing to vouch for their stability or habitability. Let’s get to work on those cryo-chambers so we don’t have to play “I Spy” for 22 light years while we make this trip.